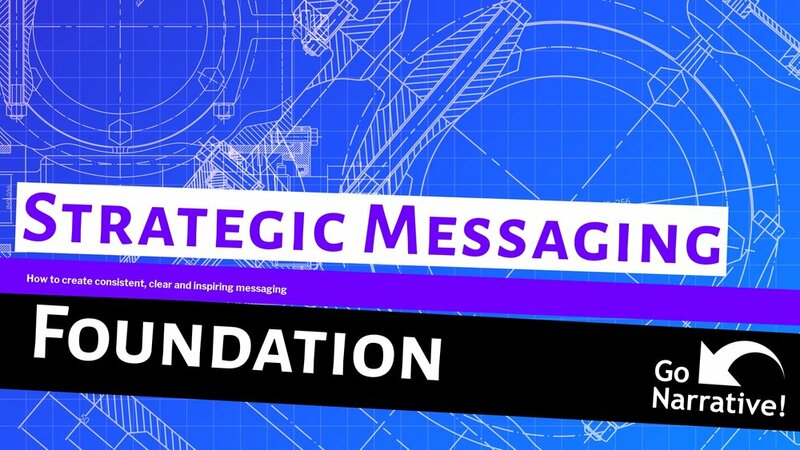 Do so by establishing a strategic messaging foundation. Here’s how. Whether you are a product marketing leader, a product owner in a large corporation, or responsible for every aspect of marketing in a startup you have a big job in front of you. Creating material that is accessible and approachable is essential. This relates to your customer knowledge, identifying the benefits they receive from your product and ensuring you get it right everywhere your customer touches your company. All of this requires much data about your customer and your product. Moreover, the job is fraught with challenges such as figuring out the right level of detail to share and what your customer needs at the various steps along their journey. You are juggling many balls while figuring out how to be clear while facing an abundance of facts and data points. Are you approaching messaging in the most effective way? If your company is not accessible or approachable, you run the risk of losing your customers to the competition. Without a consistent approach and a repeatable process, you will start from scratch every time. How do you define and streamline your process to make life easier? And quite frankly, more fun? With a well-defined approach you will free yourself to focus on what matters, the uniqueness of your product and the benefits it brings to your customers. Don't get trapped in reinventing your approach. Every. Single. Time. We are all in possession of a brain that seeks to conserve energy wherever possible. This energy saving aspect rejects complexity and seeks out clarity. This is important for the messaging that your customers consume and the processes that you use. Luckily there is hope. Despite the pressure, the busyness, and the time required to do the job well. Confidence comes in the shape of what we like to call a strategic messaging foundation, and it contains seven elements. With a solid value proposition, you will clearly define the gives and gets of your product. With a positioning and messaging framework you create a one-stop shop for reference across all campaigns and marketing execution. It will empower your whole team to engage your prioritized segments and audiences. It connects customer pain points directly with the benefits of your product. A brand narrative ensures a clear and consistent voice, character, and position for your brand. Extract the ‘why’ of your companies leadership team and founders. Storyboards make it easier to shape campaigns and their content. Reference-stories (as in reference-design) bring to life your audience, their needs, and how you help them to your entire organization. Personas provide you with insights and knowledge to enable accurate targeting and placement of messages that drive action. Persona journeys address the whole customer life-cycle and inform your decisions about which programs, campaigns and content to create and how to optimize engagement over time. In short, this collection of eight strategic messaging elements gives you, your team and your agency partners clarity and consistency when it comes to all customers communications, and delivers the inspiration needed to take your product to market. First, create a value proposition. Then, focus in on your key targets with a positioning and messaging framework. While you are doing this, you can begin work on your brand narrative. Equipped with these items you are ready to identify and research the personas that occupy the targets in your positioning framework. The persona journeys map out each persona across their customer lifecycle. The research that you conduct to understand your personas is essential to feed into your persona journey design. Create a three-slide storyboards (beginning, middle, end) to highlight the struggle and transformation of your customers and support the final step. And finally, write reference-stories (one to two pages) that breathe life into your personas. Get creative, ensure you focus on emotions at this stage. There are two main paths forward at this point. If you are a leader within your organization, we recommend rallying the troops and leading them through the steps we outlined in this piece. 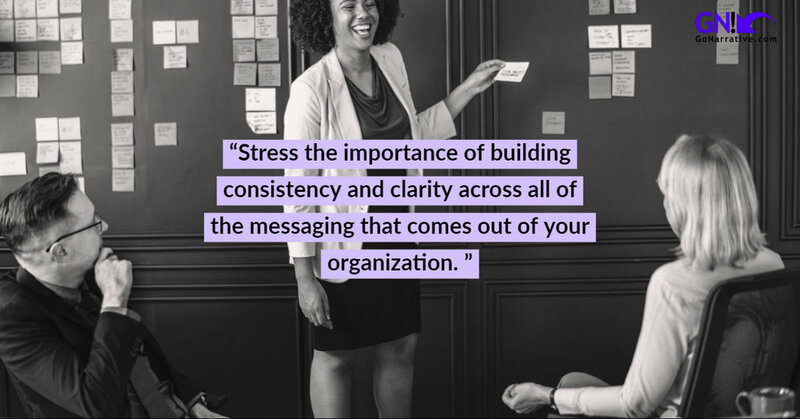 Stress the importance of building consistency and clarity across all the messaging that comes out of your organization. Divvy up the work to be done in a way that leverages the strengths and capabilities of your team, or if you're a manager-of-managers the organizations that you are responsible for. We can help, book a complimentary 30-minute consultation to talk through your unique situation, products or services, and how we can support you in the pursuit of your goals. The second type of role that often finds themselves wanting to improve the strategic messaging foundation of an organization is individual contributors in the marketing organization. If that's you, then you might have a little bit more legwork to do before you can get to execution. Consider who in your organization would need to be a part of this effort. Make sure that you engage with those teams early. Product marketing. Branding. Customer support. R&D. 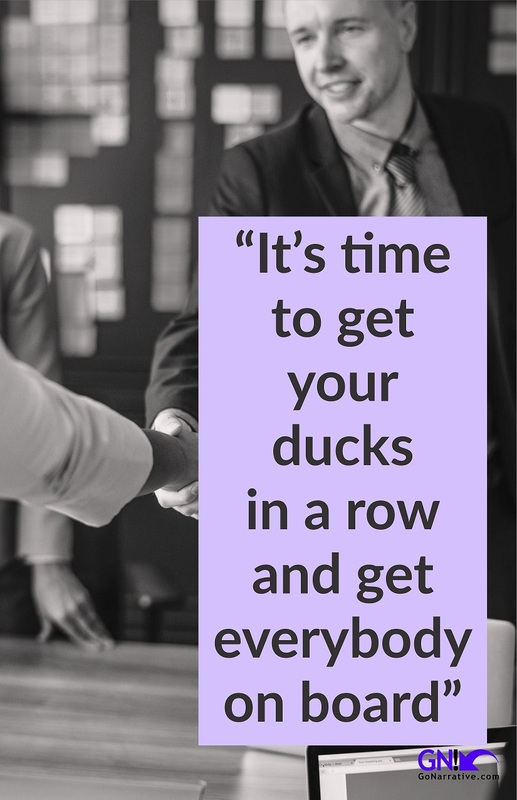 It's time to get your ducks in a row and get everybody on board. Always consider the question "what's in it for me?" How can you make the lives of your teammates easier? Everybody ultimately will benefit from consistency and clarity in everything that your organization does. Whether you're creating global ads, data sheets or sales guides, everybody benefits from this investment. Of course, you don’t want the opposite! Customers who don't feel understood and don't see you as a company that can help will result in lack of engagement or worse will be driven to your competition. Create a practical, strategic messaging foundation that builds consistency, clarity, and inspires your customers to act. If you would like to hear how we've helped technology companies, from startups and midsize businesses to some of the world's biggest brands click here to book 30 minutes, and we will share how we helped them and how we can help you.